This is the first book for Moulun, now 88 years old and working on his second book. Here he chats with Diann Gilster, one of many friends who helped and encouraged Moulun. 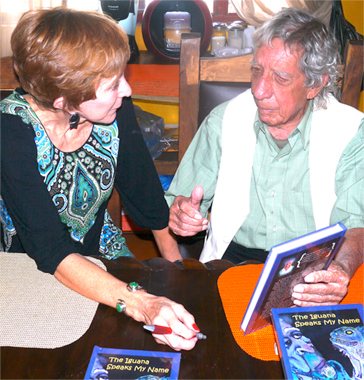 The book is published by EgretBooks.com, a new English-language publisher based in Ajijic. Born to a Spanish mother and French father in Guatemala, Moulun received his medical degree from the National University of Mexico, Mexico City. His post-graduate studies in psychiatry were at Seton Psychiatric Institute in Baltimore, Maryland, and at the Menninger Foundation, School of Psychiatry, Topeka, Kansas. After completing his residency in 1962 he moved to Hawaii and was Chief of Services and Psychiatric Supervisor at Hawaii State Hospital, Kaneohe, Hawaii. In 1996, he retired and moved to Ajijic, where he is known by hundreds of people.